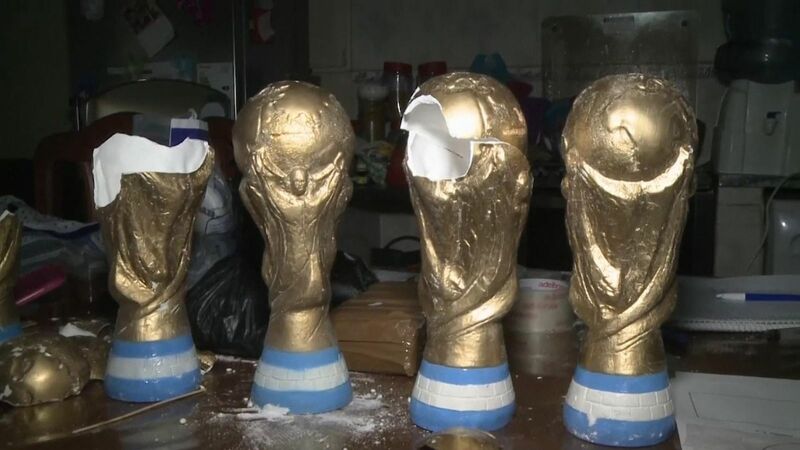 Gang members hid cocaine inside replica World Cup trophies in an attempt to smuggle the drugs around Argentina. 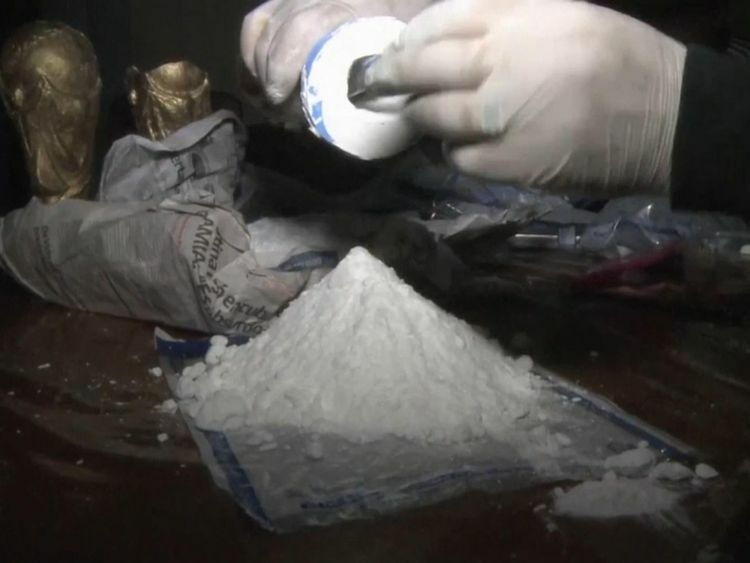 Police seized 10kg of the white powder as well as 20kg of marijuana and 1,800 doses of crack cocaine, known as paco, during a raid in Buenos Aires. 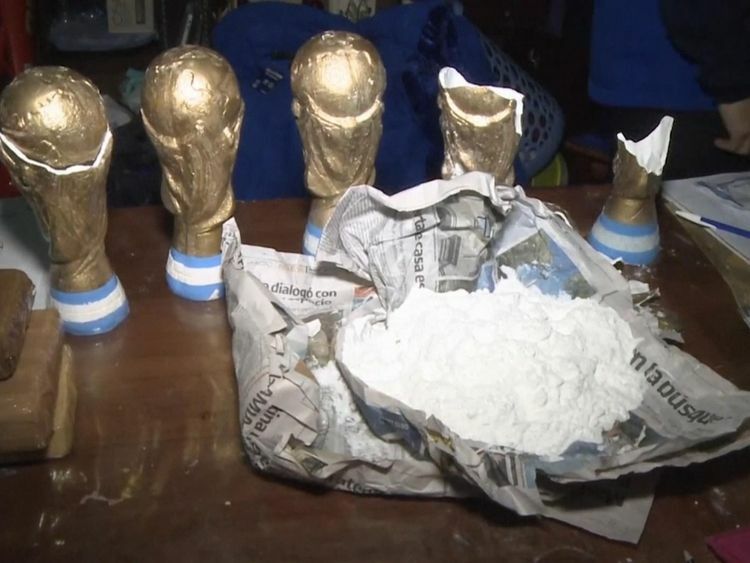 The cocaine was hidden across eight replica trophies, each holding about 1.5kg of cocaine. It is believed the gang took place of football fever to disguise their goods as merchandise. According to the government’s security department, they operated in several places throughout the capital city. 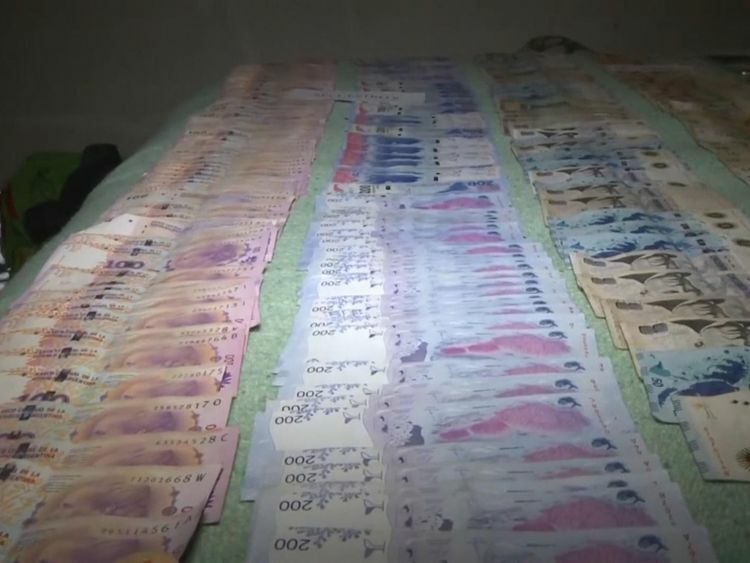 Police also seized 400,000 Argentine pesos (£11,167.09). 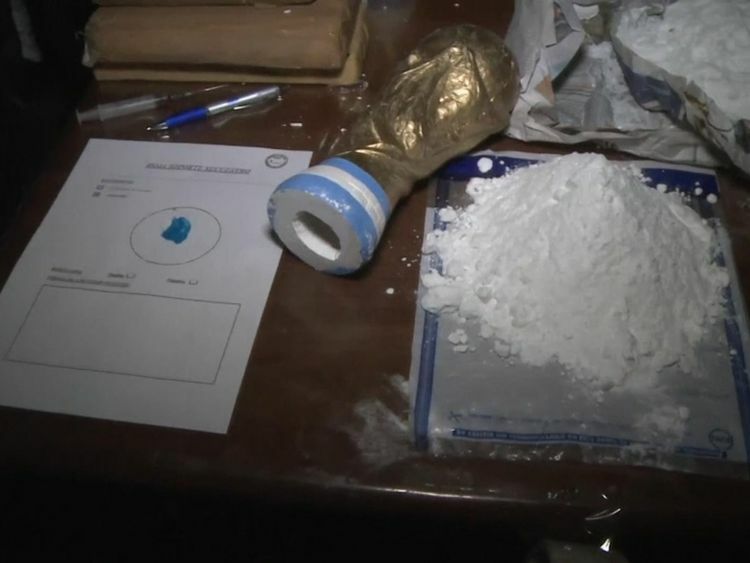 Security minister Cristian Ritondo said: “These merchants of death have endless ingenuity, but don’t be fooled. They shouldn’t be admired. On the contrary… they are now in jail. As well as the drugs, police seized two high-end vehicles and two firearms. 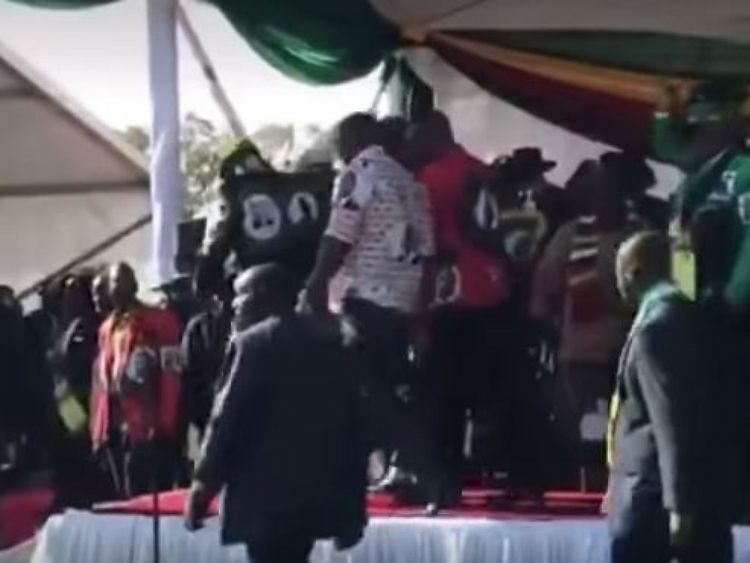 Zimbabwe’s president has escaped injury after an explosion at a stadium where he was addressing a rally, in what state media are describing as an assassination attempt. Emmerson Mnangagwa has vowed that the “cowardly act” will not derail next month’s historic election – the first since long-time leader Robert Mugabe stepped down. He said the object had “exploded a few inches away from me, but it is not my time”. One of Zimbabwe’s two vice presidents, Kembo Mohadi, suffered a leg injury in the blast, which happened in Bulawayo. The country’s environment minister, deputy speaker of parliament and several security personnel were also among the injured. 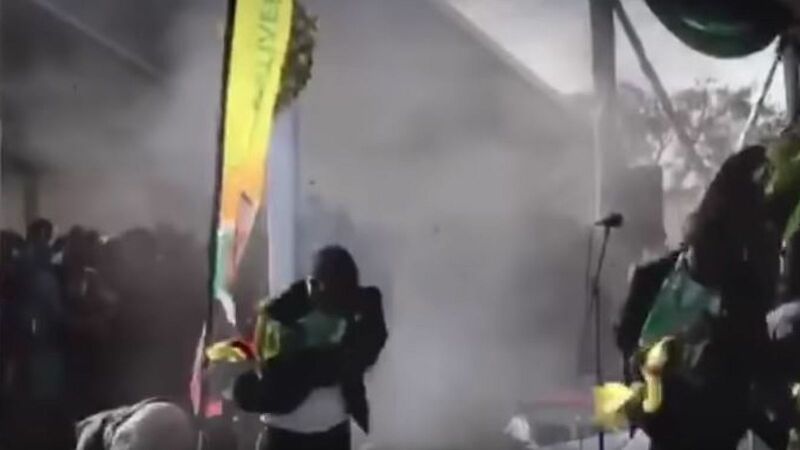 Footage posted online showed the president waving to the crowd as he turned to step off the podium and walked into the open-sided VIP tent, where the explosion happened seconds later. 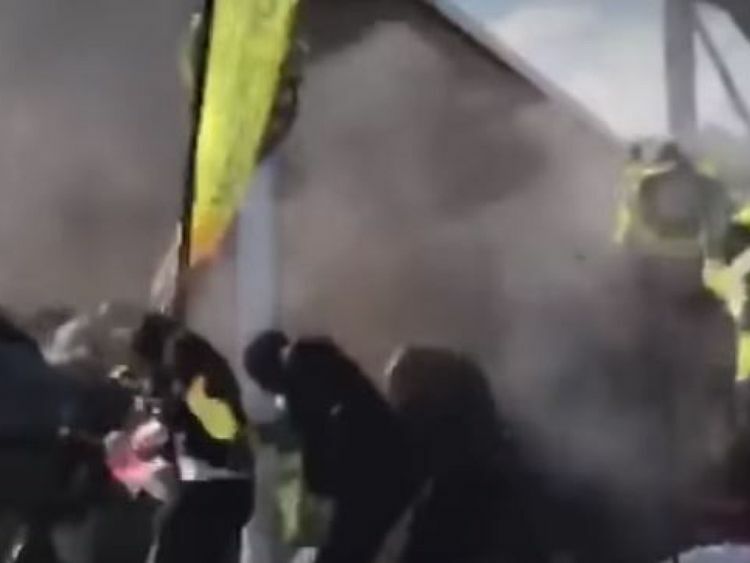 People were seen ducking and screaming as smoke billowed through the stadium – with state television immediately cutting the broadcast. No groups have come forward to say that they were behind the explosion so far. Bulawayo is Zimbabwe’s second-largest city and is traditionally an opposition stronghold. The blast happened just hours after a similar attack in Ethiopia during a rally for the country’s new prime minister. An attacker threw a grenade towards the stage where he was sitting – killing one person and injuring at least 83 others. Presidential spokesman George Charamba told The Zimbabwe Herald that an investigation had been launched and said there had been “multiple attempts” on Mr Mnangagwa’s life over the years. 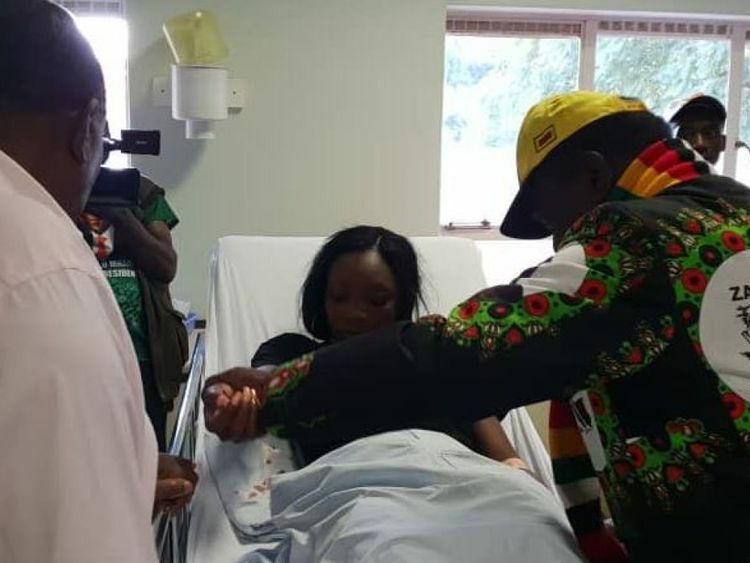 Mr Mnangagwa later visited those who were injured in the blast at the local hospital. Mr Mnangagwa came to power in November after former ally Robert Mugabe stepped down under military pressure. The transfer of power began when Mr Mnangagwa was sacked as Mugabe’s deputy and said he had to flee the country immediately as his life was in danger. 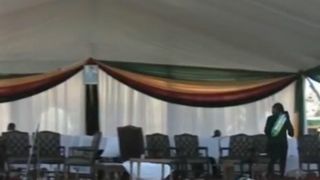 The election on 30 July will be the first without Mr Mugabe in the southern African nation since independence in 1980. The US Embassy also condemned the attack on Twitter and said “political violence in any form is unacceptable” and contrary to the progress needed to move the country forward and “take its place on the global stage”. American officials have said a credible vote is the only way international sanctions can be lifted. 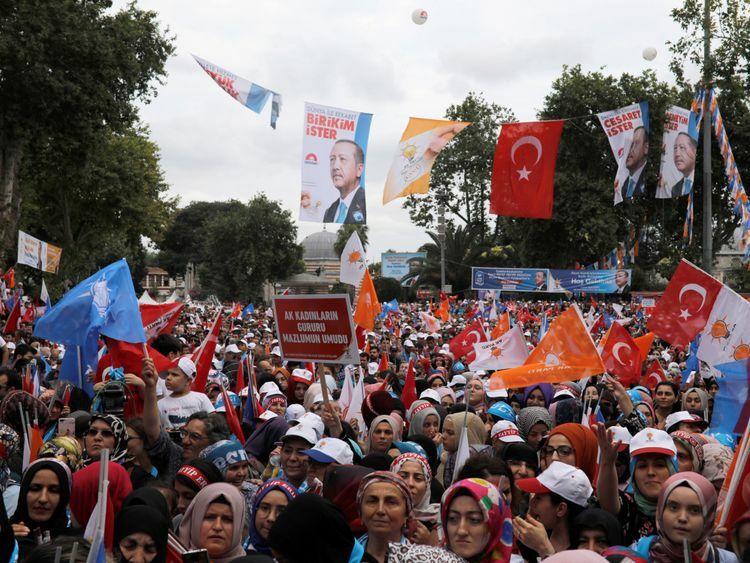 Up to a million people have turned out for one of the last opposition campaign rallies ahead of Sunday’s elections in Turkey. 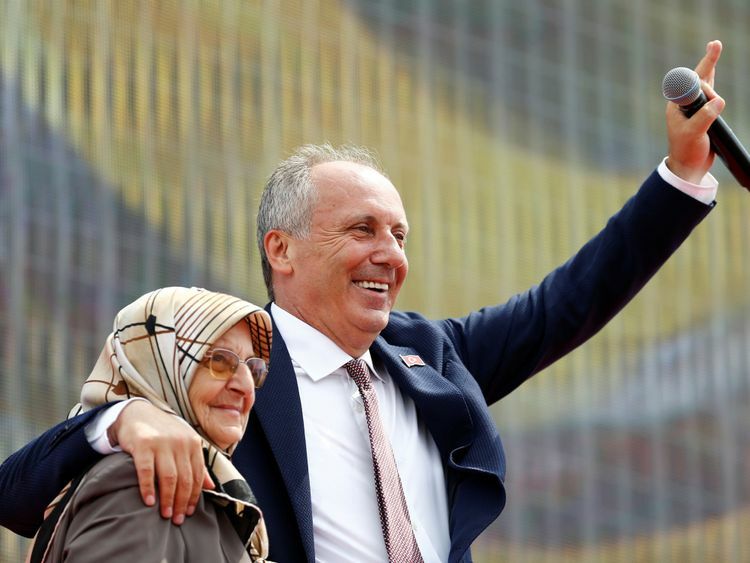 The rally, held in Istanbul, was in support of Muharrem Ince, the main competitor to President Recep Tayyip Erdogan. Turkey is going to the polls in joint presidential and parliamentary elections. 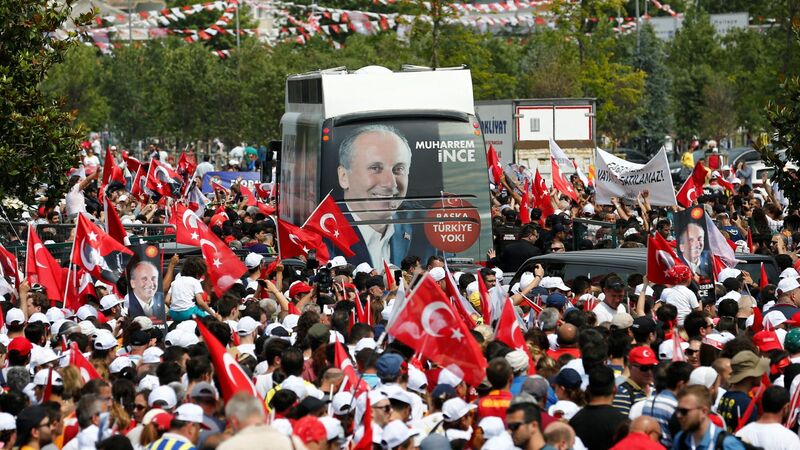 Mr Erdogan is expected to be re-elected but might be forced into a run-off by the opposition. 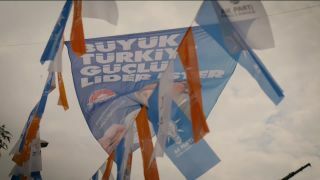 A coalition of parties have teamed up to challenge the hold that Mr Erdogan’s AK party has on parliament – and the president risks losing his majority. Selahattin Demirtas is one of the country’s best-known politicians. He is campaigning to be president from jail – he was locked up for alleged links to the banned Kurdish PKK party. From his prison cell, he told Sky News that he doesn’t think the elections will be free and fair: “A fair election would mean AKP cannot win. 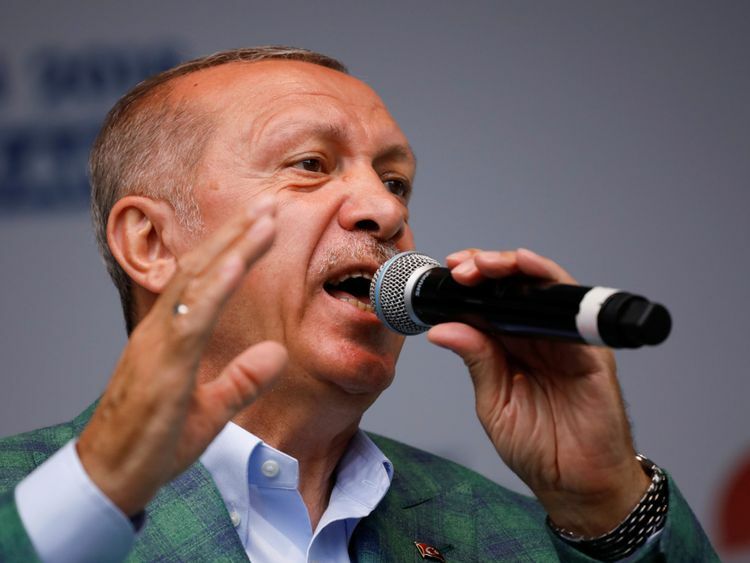 “If Erdogan and AKP finally decide to think about the welfare of the country and decide to respect the will of the voters, then voters will be able to vote in a fair and free atmosphere. The polls open at 9am on Sunday (7am UK time) – the result should be known by late evening. 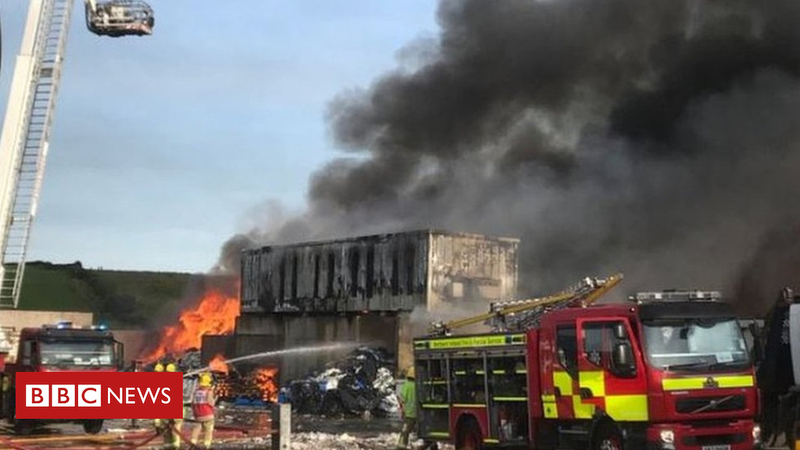 Fire crews are dealing with a “major fire” at a recycling plant in Londonderry. Police are also at the scene on the Heather Road and are advising motorist to stay away from the area. Anyone living in the vicinity of the plant have been advised to keep their windows and doors closed. The PSNI have also asked motorists to avoid the area as “thick smoke is making driving conditions hazardous”. A PSNI spokesperson said the Heather Road is expected to remain closed for some time. A man has been arrested on suspicion of murdering a woman who was found dead in a back garden in south-east London. 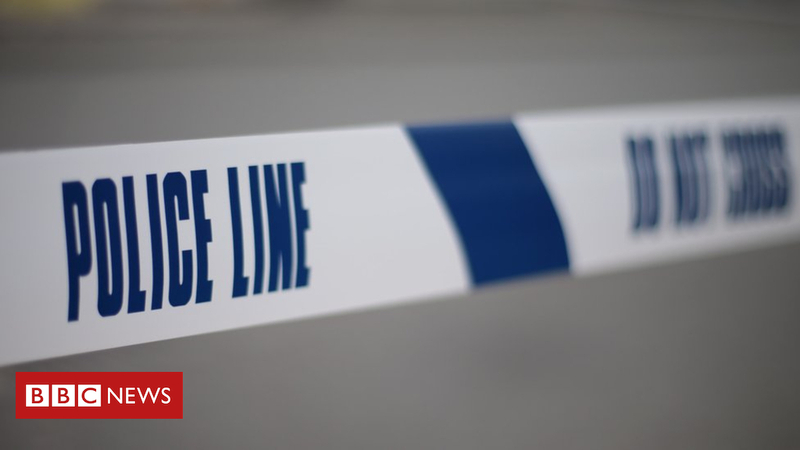 The woman, thought to be in her 50s, was discovered behind a house in Tunnel Avenue, Greenwich, at about 11:30 BST on Saturday. A Metropolitan Police spokesman said it appeared she had been stabbed and they were informing her next of kin. The arrested man, aged in his 50s, is being questioned at a south London police station. The Met said they believed the dead woman and the arrested man were known to each other, although they do not believe the incident is domestic. A post-mortem examination is expected to be held on Sunday afternoon. 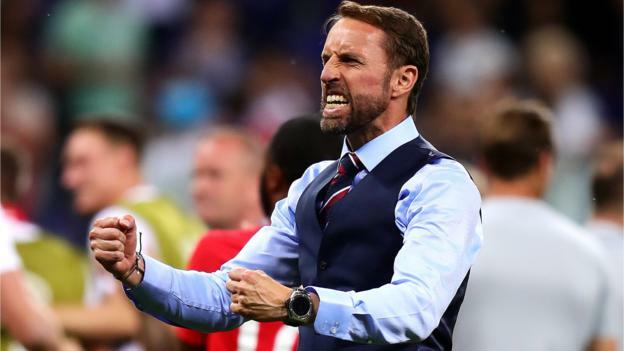 England manager Gareth Southgate has told his players to “create their own history” as they seek the win over Panama that will send them into the last 16 of the World Cup. Southgate is aware of England’s poor recent record in major tournaments, but says his youthful squad can leave that behind and write new chapters of their own in Russia. England face Panama in Nizhny Novgorod on Sunday knowing victory will mean their final Group G game with Belgium will decide who tops the section. The Three Lions have not gone past the quarter-final stage of a World Cup or European Championship for 22 years. Southgate said: “Past history is not important for this team. They have an opportunity to create their own history. They should be excited about that. England trained in the mild climes of their Zelenogorsk base on Saturday morning before flying into the searing heat of Nizhny Novogorod, where temperatures were as high as 32C. Panama took the opportunity to train in the heat in the spectacular Nizhny Novgorod Stadium, before Sunday’s kick-off at 15:00 local time (13:00 BST) – but Southgate insists England have not made a mistake by declining to acclimatise. He said: “We never train at the stadium before any of our qualifiers. It’s also fairly typical for most of the teams when they play in the Champions League. “When I came to the Fifa workshop they were quite keen for teams not to train at the stadiums to protect the pitches. “It makes sense to train earlier in the day, recover and travel. It’s about the flow of the day to leave maximum time for physical recovery. “The heat is different in different parts of the country. There is no physiological benefit to train in the heat for a couple of weeks before and thinking there will be an adaptation. Southgate also said there was no complacency in England’s camp or approach, even though they will be overwhelming favourites to beat Panama, who lost their opening game 3-0 to Belgium. “We’ve seen already the difficulty big countries, in terms of rankings, have had in terms of breaking down lower-ranked teams. That’s been a theme throughout so there will be no complacency in the way we’ve prepared for the game,” he said. “The situation in the group is a healthy one for us, but we have to focus on our performance. I always talk to the players about what we can control – our preparation, how we want to attack the game. “We want to play in the style we played coming into the tournament. We’re a team who are hungry and want to improve. Southgate touched again on the debate over the team-sheet that was pictured in the hands of assistant Steve Holland in training and appeared to show Raheem Sterling and injured Dele Alli replaced by Marcus Rashford and Ruben Loftus-Cheek. Campaigners walk through London on the second anniversary of the Brexit vote. 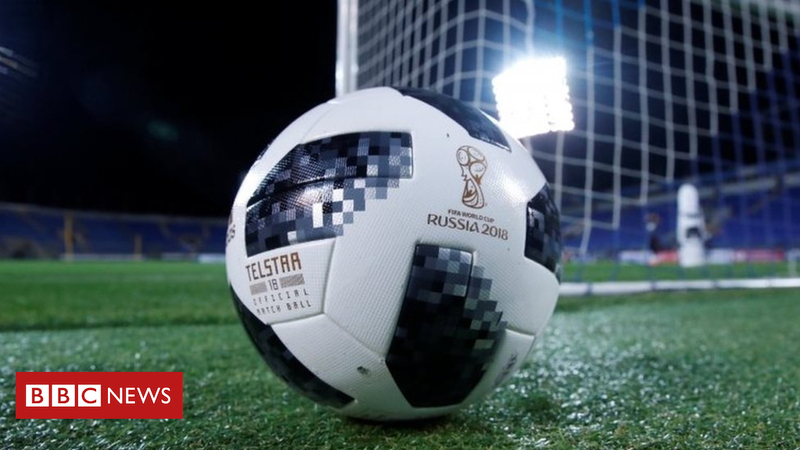 A man has received a five-year football banning order after a video appearing to show fans singing anti-Semitic songs at the World Cup circulated online. Michael Herbert, 57, from Derby, was given the ban on Saturday at Leicester Magistrates’ Court. Two other men, aged 52 and 58, appeared at Leeds Magistrates’ Court, where the case has been adjourned until Tuesday. All three had been served with notices by police under section 21B of the Football Spectators Act 1989. Following a separate incident on a train near Moscow on Sunday, 17 June, Paul Johnson, of Banbury, Oxfordshire, was served with a 21B notice under the Football Spectators Act 1989. The 25-year-old received a three-year football banning order at Oxford Magistrates’ Court. Football banning orders can last between three and 10 years and prevent an individual attending matches at home and abroad. Breaching an order is punishable by a maximum of six months in prison or a fine of £5,000, or both. Fans can have more than one banning order imposed. 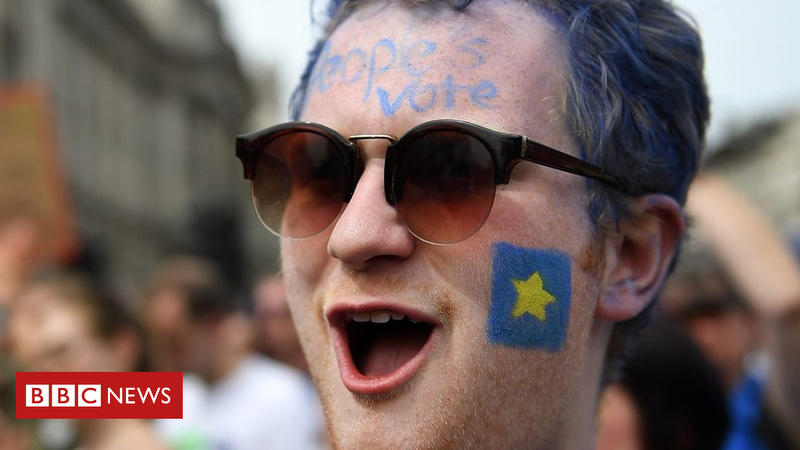 Thousands of protesters were in London on Saturday, calling for a vote on any final deal seeing the UK leave the European Union. But why were the marchers insisting on another say over Brexit? Before Saturday, Dodo Pearce had never joined a protest in her life. But the 69-year-old decided to travel from South Normanton in Derbyshire to call for a “People’s Vote”. “I’m hoping it’s not too late, but we have got to take the chance for goodness sake,” she said. Her husband, John Pearce, carried a placard saying “grumpy old Brits”. “The first referendum was won on spurious information from both sides,” he said. Cinzia Sangiovanni has lived in the UK for 19 years, and lives in south London with her British husband and two children. The whole family took part in the march, as three of them hold Italian passports – and she fears for their future without a say on the deal. “I want to march because I feel my rights are under threat,” she said. Among the sea of EU flags was Erika Gallacher, who moved from Carlisle to London 11 years ago. “I have friends who voted a different way to me, but I also have a lot of friends from the EU,” she said. “I work for a university and I’m worried about the students and what will happen to them. The 16-year-old from Hampshire said: “I think my placard says it all. “It is stealing it economically – we have already seen the drop in the pound and the loss of jobs – so I will struggle to find employment and be worse off when I do. A group calling themselves the “Suffolk EU Alliance” were also out in force carrying placards and plastered in stickers stating their cause. Christine Speer was one of them – originally from Canada, but a British citizen for 50 years who considers herself a “citizen of nowhere”. “The EU has its problems, but there are a number of problems at the time of the referendum that weren’t because of the EU – the government was responsible,” she said. “Some people who voted for Brexit will actually find they are worse off. Dr Horst-Dieter Haas proudly carried his German flag as he attended the march. He married a British woman, but the pair spent 30 years in his home country, bringing up their children, before moving to the UK. He has been working in the NHS since 2005, but says he will quit if Brexit goes ahead. He added: “It is already impacting the NHS. We haven’t got enough doctors, nurses, physiotherapists, we don’t even have enough money, and that will all be worse if Brexit happens. But as the pro-EU protest reached its rally point in Parliament Square, another was heading in the same direction. 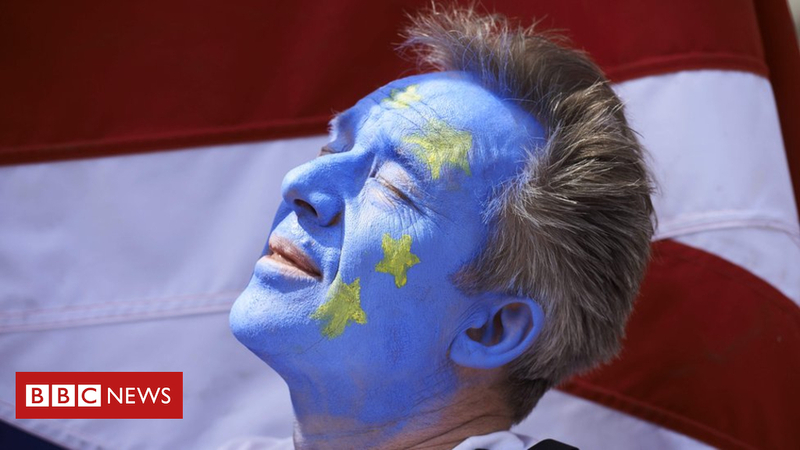 The UK Unity and Freedom march said it was focusing on “freedom from the EU, freedom from terror, freedom of speech, freedom from Sharia law, and unity of all people, irrespective of race or creed”. The pro-Brexit march was significantly smaller, but their voices rang out as they walked along Millbank, with supporters chanting for “our country back” and singing Rule, Britannia! Shazia Hobbs, who was speaking at the event, criticised those on the opposing protest. “That march is silly,” she said. “We voted to leave so we should leave. One woman, who didn’t want to be named, had travelled from Brighton to join the march. Whether either protest will impact the government’s next steps is yet to be seen.